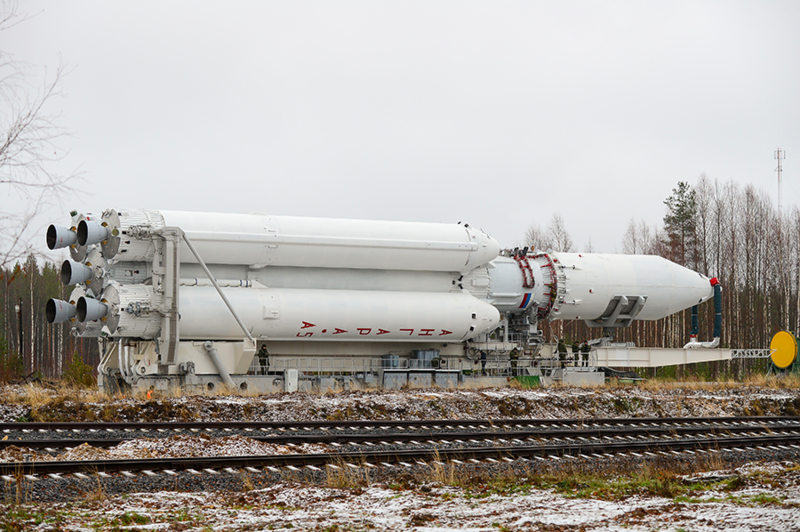 Several weeks ahead of a planned liftoff in late December, the biggest new Russian rocket to fly in a generation rolled to its launch pad at the Plesetsk Cosmodrome in northern Russia earlier this month for preflight testing. 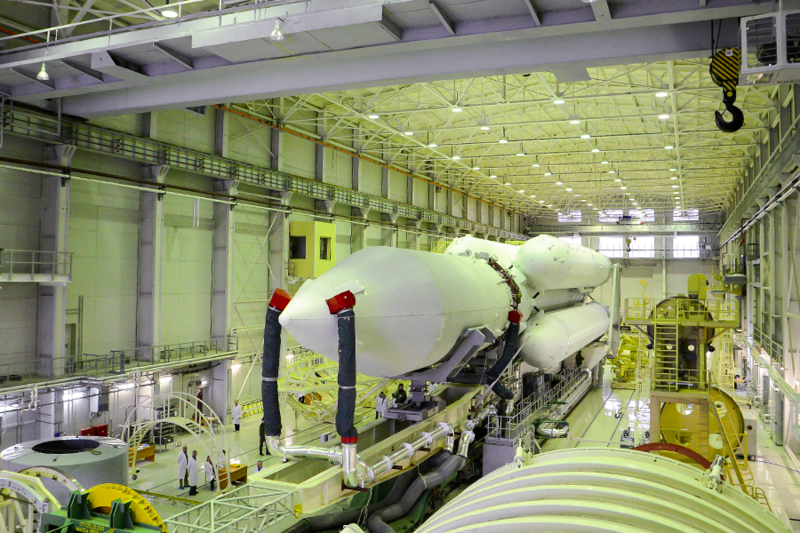 The heavy-lift Angara 5 rocket is due to replace Russia’s Proton launcher to haul the country’s heaviest satellites into orbit. 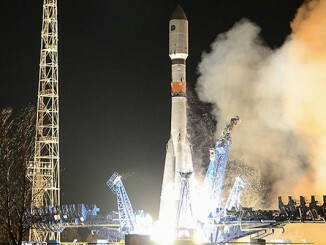 Manufactured by the Khrunichev State Research and Production Space Center — the Proton’s prime contractor — the Angara 5 is also slated to compete for commercial satellite launches on the global market. 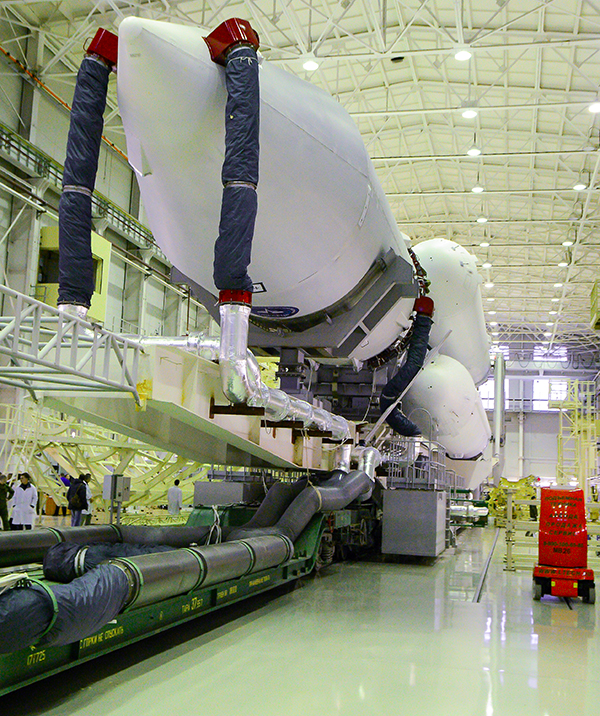 Russian news agencies have reported the rocket’s first liftoff is scheduled for around Dec. 25. It will carry a simulated payload into geostationary transfer orbit stretching more than 20,000 miles above Earth, a common destination for communications satellites. 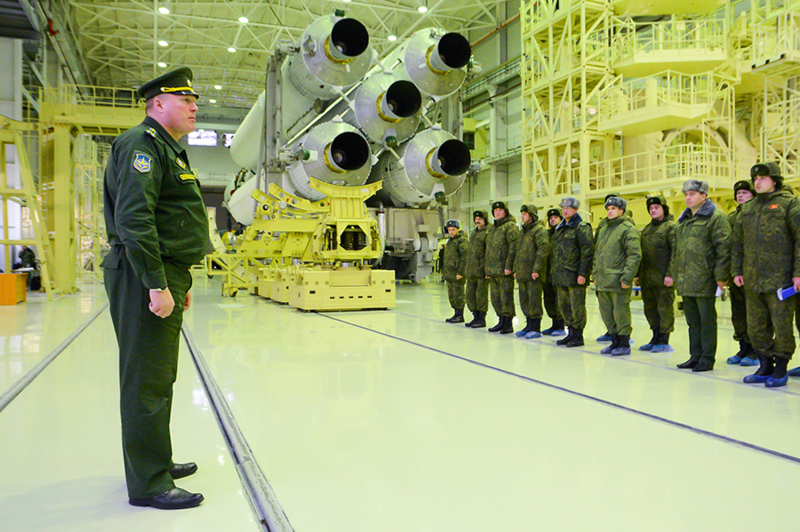 The booster is formed of five rocket cores each fitted with an RD-191 engine built by NPO Energomash of Khimki, Russia. 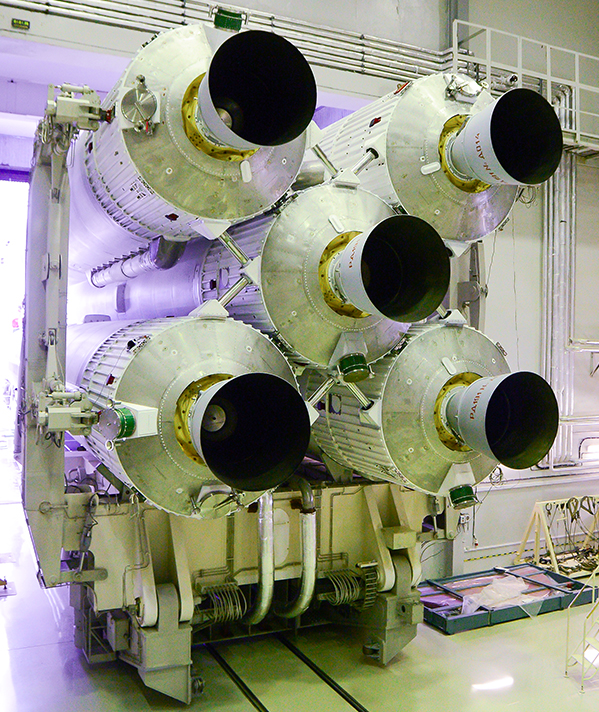 Engineers derived the single-chamber RD-191 engine from the four-nozzle RD-171 and dual-chamber RD-180 engines flying on the Zenit and Atlas 5 launchers. 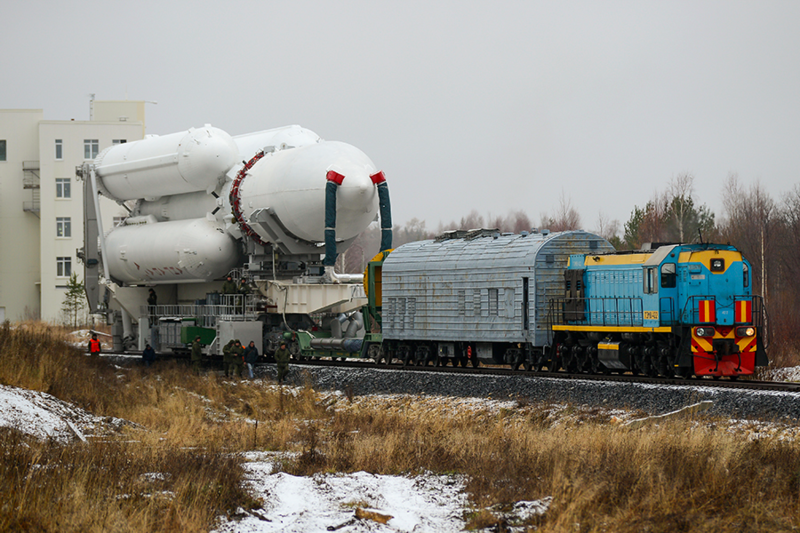 When it is cleared for liftoff, the Angara 5 rocket’s five kerosene-fueled RD-191 engines will generate nearly 2.2 million pounds of thrust to power the massive booster off the launch pad at Plesetsk, a military-run space base about 500 miles north of Moscow. 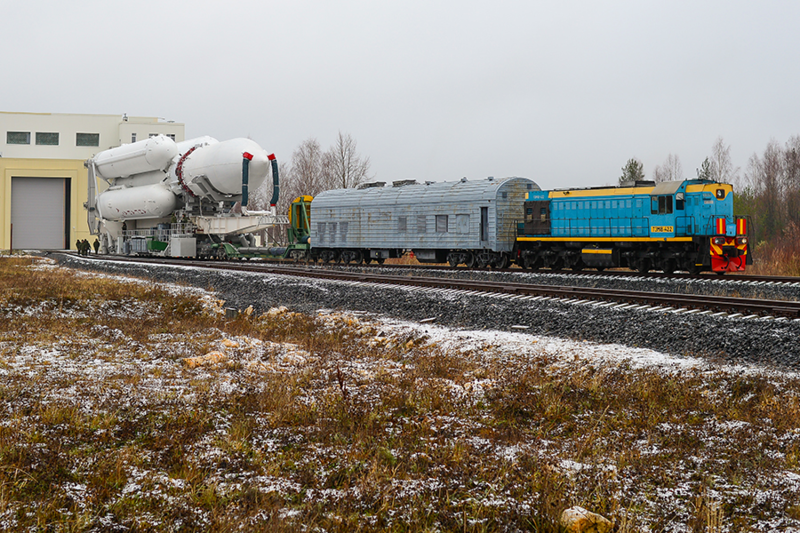 Four of the rocket cores will release from the rocket a few minutes after liftoff, then the Angara 5’s main stage and its throttleable RD-191 engine will ramp up power to continue the rocket’s acceleration into orbit. 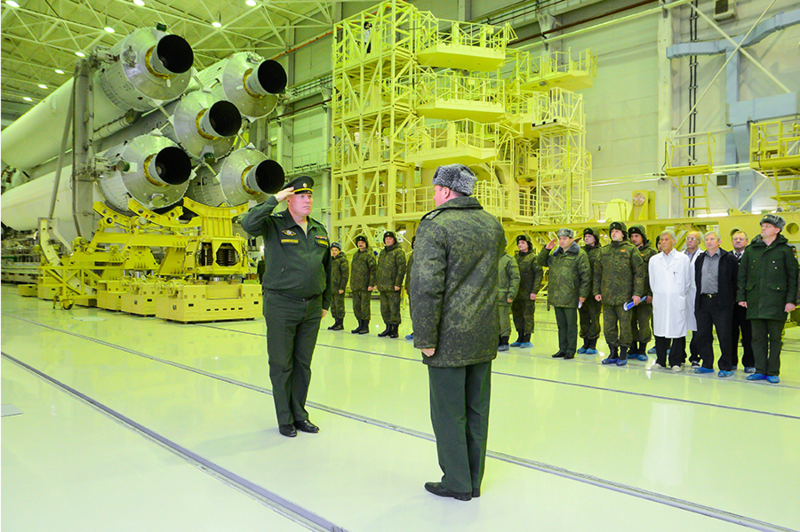 A second stage RD-0124A engine and a Breeze M upper stage — borrowed from Russia’s Soyuz 2-1b and Proton rockets — will finish the job. 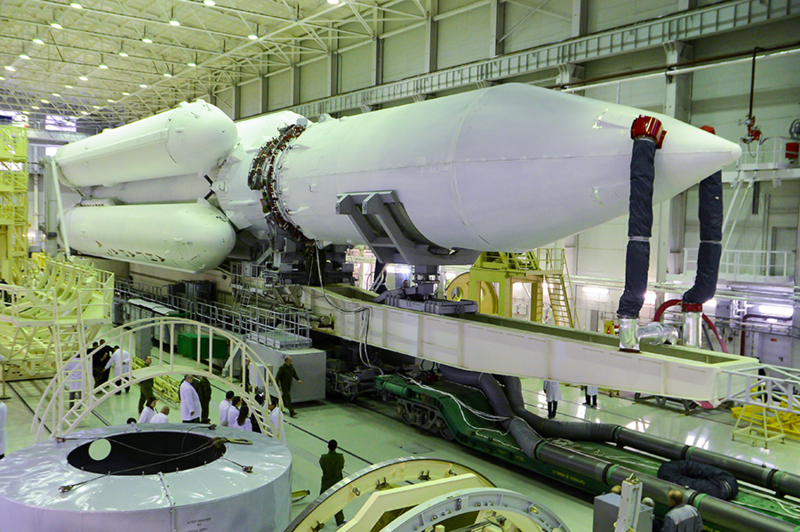 The Angara 5 can place up to 24.5 metric tons — about 54,000 pounds — into a 120-mile-high orbit. On missions with communications satellites heading for geostationary transfer orbit, an Angara 5 rocket can lift up to 5.4 metric tons, or about 11,900 pounds, according to Khrunichev. 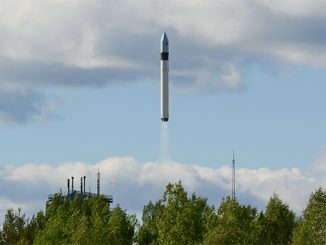 The Angara 5’s first flight is scheduled a half-year after a scaled-down single-engine Angara 1.2PP rocket successfully lifted off on a suborbital demonstration mission in July. 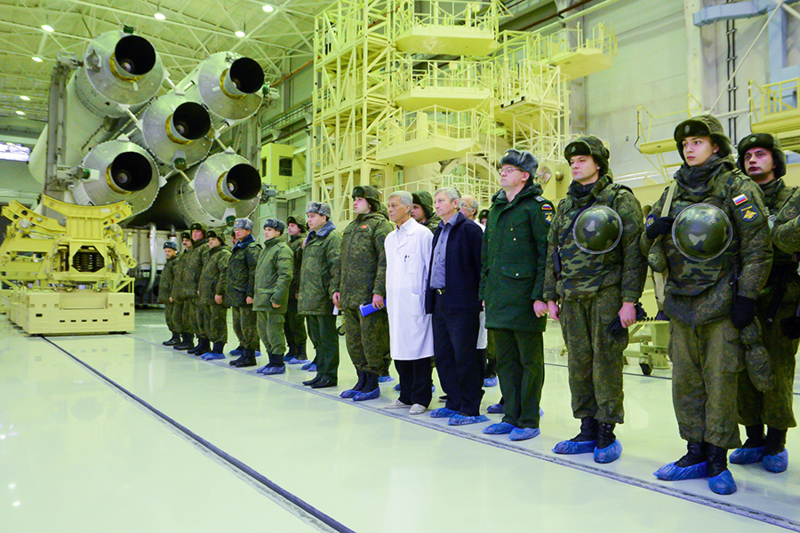 Russia envisions the Angara rocket family, which encompasses several configurations aimed at delivering small, medium-class and large satellites into orbit, replacing a range of launchers, including modified ballistic missiles such as Rockot and the heavy-duty Proton. 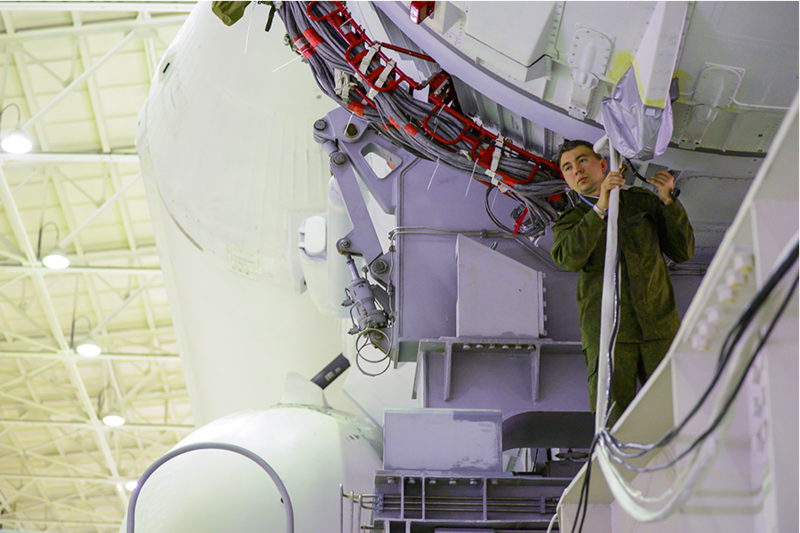 The switchover to Angara rockets will also reduce Russian reliance on foreign suppliers and the Baikonur Cosmodrome in Kazakhstan, which has been the subject of contention between the Russian and Kazakh governments in recent years. 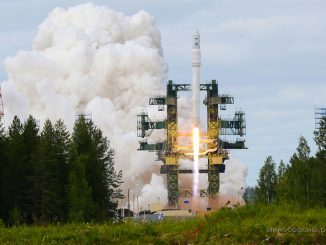 According to a report by Russia’s Itar-Tass news agency, the country has spent about $2.9 billion on the Angara rocket program, which kicked off in 1992. 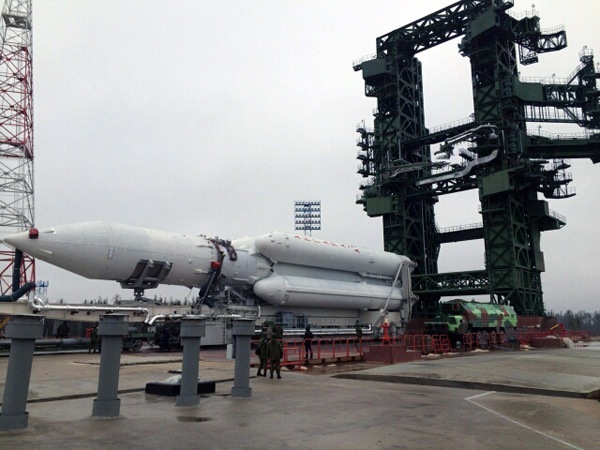 The photos below show the Angara 5’s Nov. 10 rollout from the rocket assembly building before it was lifted vertical on the launch pad. Plans called for the rocket to undergo fueling and electrical testing before its return to the hangar until closer to launch.